A non-profit group set up by the city to create a world class year long celebration of the centennial of the 1915 Panama-California Exposition in Balboa Park hasn’t produced much of anything concrete to date, despite spending millions of dollars in public monies. And they’re making the claim that their lack of progress is nobody’s business. Citizen activist David Lundin’s inquiries into the machinations of the group responsible for planning the Balboa Park Centennial Celebration have stirred up quite a fuss. After reading reports about difficulties and missed deadlines by the entity (Balboa Park Celebrations, Inc) he filed a series of requests for documents (ala Public Records Act). The resulting exchange was simply stunning in its arrogance and hostility. My response from reading the email exchange between Lunkin and the group is that something must be seriously amiss with this group. 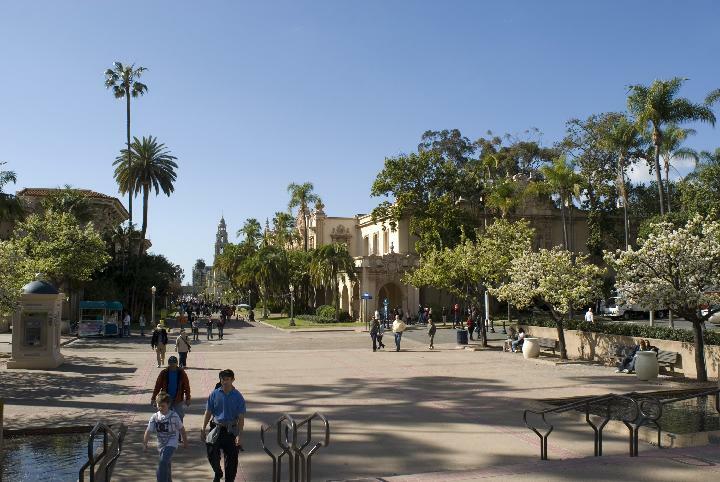 The nonprofit group organizing a yearlong party in San Diego’s Balboa Park in 2015 has taken the position that it does not have to make public its contracts, letters or other documents, saying it is not subject to disclosure laws even though it received and spent millions of tax dollars. Balboa Park Celebration Inc. was entrusted by the city with planning the 100th anniversary of the Panama-California Exposition at the park. The group on Friday told a citizen seeking records that it was not created by a legislative body and has no board members who represent a legislative body, key criteria for entities subject to open-meeting and open-records rules. “As our team is busy trying to put on an event for millions to enjoy, we must devote our limited time to more productive activities,” spokesman Victor Avina wrote in an email. The Balboa Party group has yet to reveal any of the promised corporate sponsors for the event. Its funding thus far has come via $2.8 million in city tourism and hotel tax dollars. Board members of the Tourism Marketing District have deferred consideration of a request by the group for an additional $3.2 million, citing a lack of progress. A Jan. 1, 2014, deadline for the committee to provide the city with a full calendar of events resulted in a still indefinite, incomplete schedule, and no word of any specific corporate or private underwriting. You would think that, perhaps, our City Attorney or even the District Attorney would be sniffing around by now. But you’d be wrong. This is business as usual, not to be trifled with by anybody demanding a public accountiung. After Sanders left office, Dubick became the CEO of BPCI at a salary of $15,000 a month + benefits. Her salary was to increase to $20,000 a month during 2015. The City Council has not set any future public hearings on these issues. Both I -Mayor Gloria and Mayor-Elect Faulconer have refused to make any comments on BPCI to the Press or the Public. In an “exit interview with UT-San Diego published over the weekend, iMayor Todd Gloria pledged to “present to the public a format of a celebration event that is achievable.” He also strongly suggested that, although the Balboa Park group’s missteps go back before December 2012, the current mess was former mayor Bob Filner’s fault. When Bob Filner became Mayor I was excused from that process and wasn’t included in anything and didn’t have a great deal of knowledge of what the centennial celebration looked like under his administration other than what I might read in your paper. So when I took over in August it had become this $100 million extravaganza where kings and sheiks and others were going to come to San Diego and we were going to have this celebration. That was really beyond the more modest version of a $20 million to $30 million celebration that I think Jerry Sanders and I had discussed. At the same time as the expectations were raised, very little was done from the mayor. I think the Centennial Committee tried its very best but this event depends heavily on mayoral leadership. No time was spent raising money. And hence the predicament we find ourselves in today. I have been reluctant to pull the plug on this because I think we have to do this. We should do this. You know in 1915 this city of 40,000 people put on a multiyear world’s fair and really set us on 100 years of prosperity as a result. We can’t let that milestone go by with just a sheet cake. And it’s my expectation that we will not do that. What I’ve tried to do is sort out where we’re at internally and to right-size this event to something that is doable within the next 10 months to pull it together. We went to Park and Rec to reserve the room we have used in the War Memorial Building every month for more than ten years, and was told we could not contract for the room after June 2014. Why? because of the 2015 celebrations. No explanation other than that. Who do we complain to? there doesn’t seem to be an entity for the public’s imput. I remember when we celebrated the 200th birthday of San Diego with a cake. And that, without disruption of residents who use the park facilities regularly. To find out about the original intent of both the 1915 and 1935 expositions, go to the Marsten House bookstore, and get Matthew F. Bokovoy’s “The San Diego World’s Fairs and Southwestern Memory, 1880-1940”. Between the pluralism of the 1915 fair, and the consumer-oriented 1935 fair, you’ll understand how the fairs where used to promote consumption. A necessary read.